The Kyoto Protocol allows Parties to fulfill their greenhouse gas (GHG) emission commitments jointly if they wish. In its legislation approving the Protocol , adopted in 2002, the European Union (then still called the European Community) stated that it and its 15 Member States at the time would make use of this provision to fulfill the EU's emissions commitment jointly. Emissions of greenhouse gases from installations participating in the EU Emissions Trading System (EU ETS) are estimated to have decreased by at least 3% last year, according to the information recorded in the Union Registry. 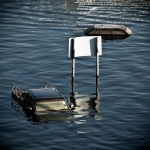 Climate change is already having substantial and widespread impacts around the world, according to the latest report from the Intergovernmental Panel on Climate Change (IPCC). Drawing on a larger body of evidence than ever before, it highlights a wide range of risks in vital areas such as food supply, human health and economic development. 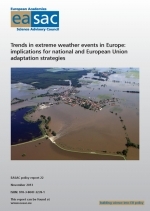 In recent years, Europe has suffered a rising number of extreme weather events - from unprecedented heat waves and droughts to record-breaking floods, wind storms and freezes. 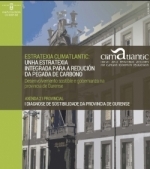 The European Commission is organising a workshop on how to access and mobilise directly managed EU funds to pursue implementation of the Action Plan for a Maritime Strategy in the Atlantic area. A new edition of the award competitions in sustainable energy at the EU level is now open. The 2014 Sustainable Energy Europe and ManagEnergy awards will highlight public and private initiatives that are actively contributing to the EU’s 2020 energy and climate objectives. The competition is open until 28 March. In 2013 Europe’s air was a central theme of work at the European Environment Agenc (EEA), with several assessments looking at issues related to the gases, liquid droplets and solid particles polluting the atmosphere in many parts of Europe. 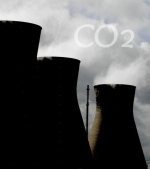 There are several methods for accounting for carbon dioxide (CO2) emissions. The European Environment Agency (EEA) explains the key characteristics of different emissions accounting methods, highlighting the need for methodological improvements as well as better data coverage and quality.